HT2620 Ultrasonic Point Level System - HiTECH Technologies, Inc.
electronics it is a designed for almost any liquid level application. second delay is added from WET to DRY to avoid false trip due to wave action. Minumum distance between points 2.5″. 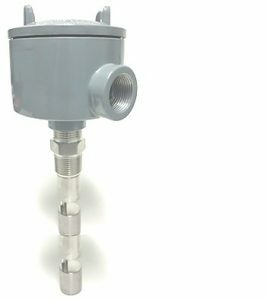 Sensor Pressure: 1000 PSIG 316LSS. Class III Type 4. EP. IP 65.